Congratulations to all our swimmers who competed in the Tom Handley and Hailsham Open Meets in January. There were some great results including new county times for Matty Smith (100fly), Edward Condron (100backstroke), Kitty Hogg (50backstroke), Max Williams (50 backstroke) and Max Williams (50backstroke). The following swimmers also achieved new regional times: Tom Hogg (auto 50 breast and base 50 fly & 200IM), Ella Napier (base 200breaststroke and 100fly), Madi Walker (base 200IM & 50 free), Ella Thornburg (base 50 breaststroke. Several other swimmers improved county or regional times. Well done! 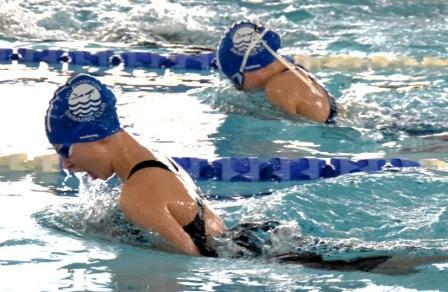 More great swimming followed at the Hailsham Winter Invitational Meet. This was a level 4 closed meet, but was also a great opportunity for our 8 year olds to experience what an ‘open’ meet might be like. Indeed Ashton Netherwood did this by storming to a new club record in the boys 8yr 50m fly in a time of 47.27. There were many PBs and new county qualifying times for Will Le Merle in the 1500m freestyle, and for Amber Brown & Ella Napier in the 800m freestyle.